For many of us who work at Legacy.com, one of the best things about the job is hearing about how we help people. Emails and Facebook posts of thanks from our customers are often shared around the office, and a story of how a Guest Book helped someone work through their grief can really remind us why we do what we do. We recently received one of the most lovely thank-yous we’ve seen. Thank you to all the angels that helped hold me up through Joan’s departure. 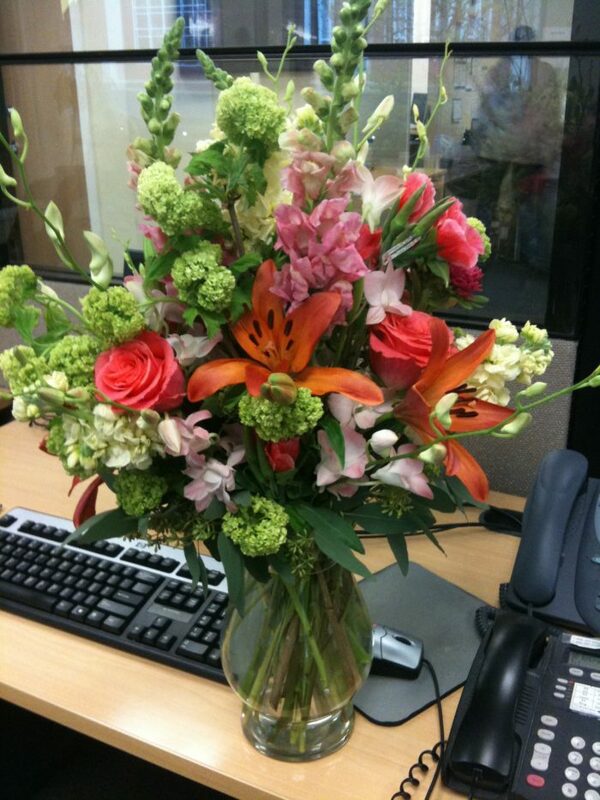 The flowers have spent several days brightening up our office, and they remind us how important our jobs are. And just as the Guest Book was a comfort to Richard, his kind gesture was a comfort to us. Richard, you’re an angel too.